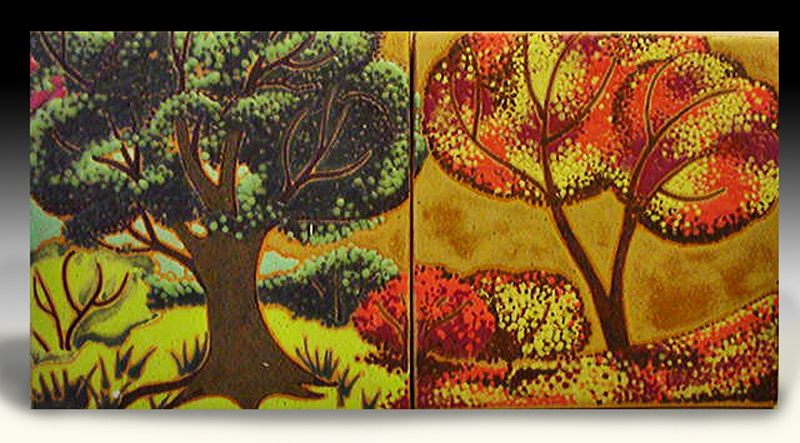 I've been creating landscapes and four seasons for a few decades, I love to challenge myself. As I continue to create my site, I will put more of my work up to be sold. Thank you for your patience. 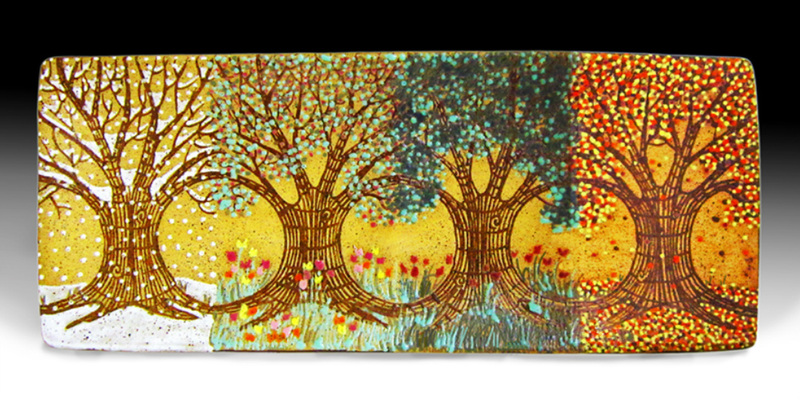 Order My favorite modern four seasons tile series I ship USPS and charge a flat rate of $12.00 for USA. * There is the ability of hang all of my tiles on the backs of each tile. 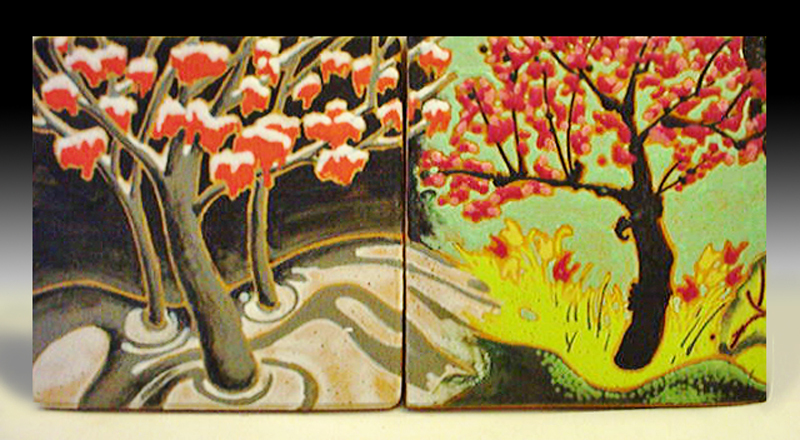 My traditional four seasons tiles, buy one or all. There is a hanger on the back of tile. 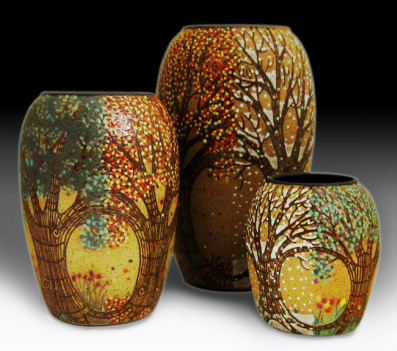 Large Vase approx. 6" x 10", Med Vase approx. 5" x 7", Sm Vase approx. 4.5" x 5"
6" x 6" Spring Rendering. There is a hanger on back of tile. Send me an email if you're interested in ordering. 6 x 6 Summer Rendering tile. There is a hanger on back of tile. 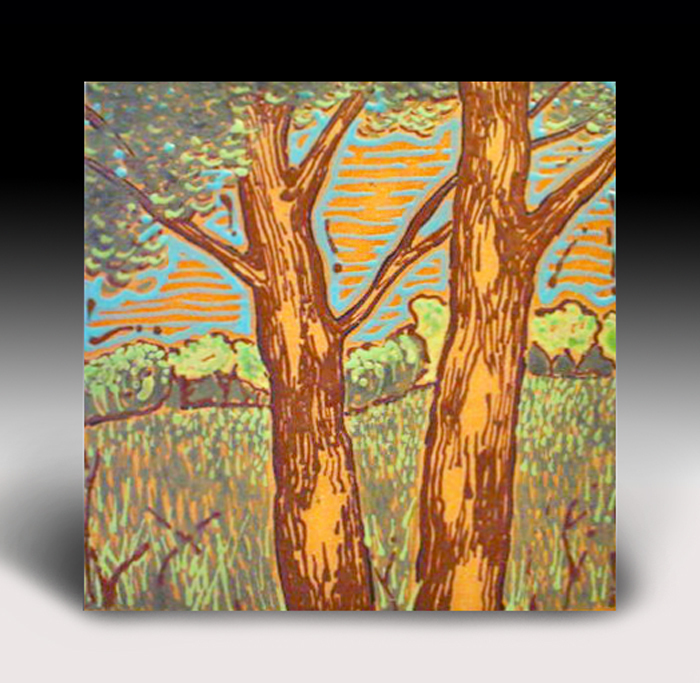 6 x 6 Autumn Rendering tile. There is a hanger on the back. 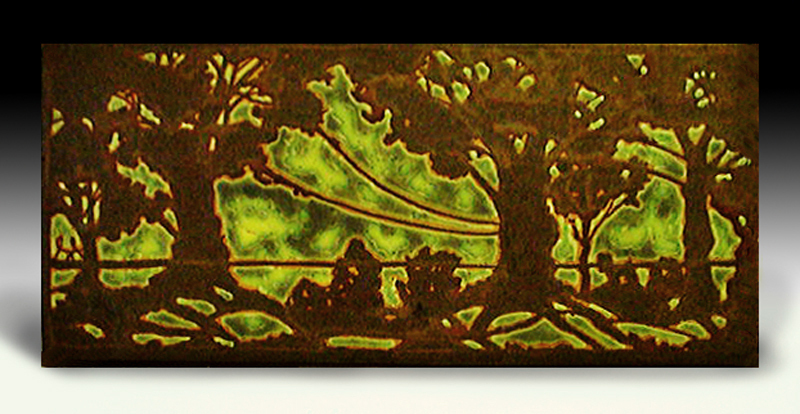 Nouveau Silhouette Landscape Tiles. Choose large or small. There is a hanger in back of tile.